Knowledge encourages obedience, and obedience enhances knowledge. Various questions arise as we hear others bear testimony or as we consider bearing testimony ourselves. 2. A young man preparing for a mission wonders whether his testimony is strong enough that he can serve as a missionary. 3. A young person hears the testimony of a parent or teacher. How does such a testimony help a person who hears it? In contrast, we know the things of man by the ways of man, but “the natural man receiveth not the things of the Spirit of God: for they are foolishness unto him: neither can he know them, because they are spiritually discerned” (1 Corinthians 2:14). The Book of Mormon teaches that God will manifest the truth of spiritual things unto us by the power of the Holy Ghost (see Moroni 10:4–5). In modern revelation God promises us that we will receive “knowledge” by His telling us in our mind and in our heart “by the Holy Ghost” (D&C 8:1–2). One of the greatest things about our Heavenly Father’s plan for His children is that each of us can know the truth of that plan for ourselves. That revealed knowledge does not come from books, from scientific proof, or from intellectual pondering. As with the Apostle Peter, we can receive that knowledge directly from our Heavenly Father through the witness of the Holy Ghost. When we know spiritual truths by spiritual means, we can be just as sure of that knowledge as scholars and scientists are of the different kinds of knowledge they have acquired by different methods. The Prophet Joseph Smith provided a wonderful example of this. When he was persecuted for telling people about his vision, he likened his circumstance to the Apostle Paul, who was ridiculed and reviled as he made his defense before King Agrippa (see Acts 26). “But all this did not destroy the reality of his vision,” Joseph said. “He had seen a vision, he knew he had, and all the persecution under heaven could not make it otherwise. … So it was with me,” Joseph continued. “I had actually seen a light, and in the midst of that light I saw two Personages, and they did in reality speak to me. … I had seen a vision; I knew it, and I knew that God knew it, and I could not deny it, neither dared I” (Joseph Smith—History 1:24–25). That was Joseph Smith’s testimony. What about ours? 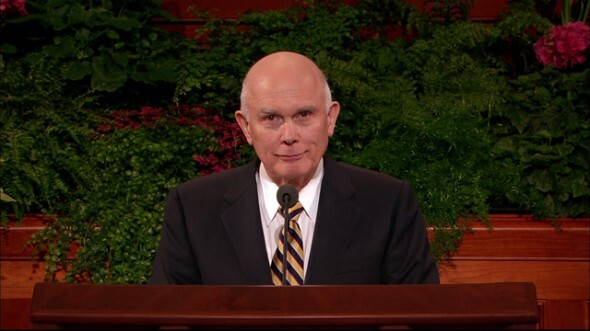 How can we come to know and testify that what he said was true? How does one gain what we call a testimony? The first step in gaining any kind of knowledge is to really desire to know. In the case of spiritual knowledge, the next step is to ask God in sincere prayer. As we read in modern revelation, “If thou shalt ask, thou shalt receive revelation upon revelation, knowledge upon knowledge, that thou mayest know the mysteries and peaceable things—that which bringeth joy, that which bringeth life eternal” (D&C 42:61). Those who have a testimony of the restored gospel also have a duty to share it. The Book of Mormon teaches that we should “stand as witnesses of God at all times and in all things, and in all places that [we] may be in” (Mosiah 18:9). “To others it is given to believe on their words, that they also might have eternal life if they continue faithful” (vv. 13–14; see also John 20:29). Those who have the gift to know have an obvious duty to bear their witness so that those who have the gift to believe on their words might also have eternal life. There has never been a greater need for us to profess our faith, privately and publicly (see D&C 60:2). Though some profess atheism, there are many who are open to additional truths about God. To these sincere seekers, we need to affirm the existence of God the Eternal Father, the divine mission of our Lord and Savior, Jesus Christ, and the reality of the Restoration. We must be valiant in our testimony of Jesus. Each of us has many opportunities to proclaim our spiritual convictions to friends and neighbors, to fellow workers, and to casual acquaintances. 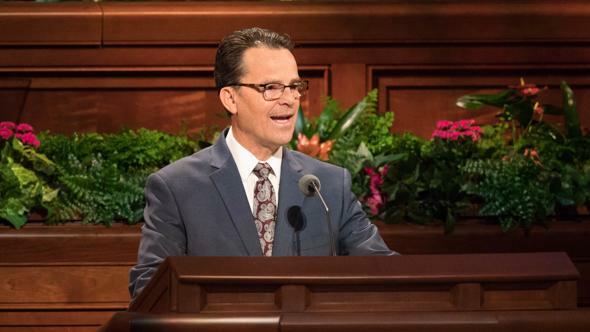 We should use these opportunities to express our love for our Savior, our witness of His divine mission, and our determination to serve Him.2 Our children should also hear us bear our testimonies frequently. We should also strengthen our children by encouraging them to define themselves by their growing testimonies, not just by their recognitions in scholarship, sports, or other school activities. We live in a time when some misrepresent the beliefs of those they call Mormons and even revile us because of them. When we encounter such misrepresentations, we have a duty to speak out to clarify our doctrine and what we believe. We should be the ones to state our beliefs rather than allowing others the final word in misrepresenting them. This calls for testimony, which can be expressed privately to an acquaintance or publicly in a small or large meeting. As we testify of the truth we know, we should faithfully follow the caution to speak “in mildness and in meekness” (D&C 38:41). We should never be overbearing, shrill, or reviling. As the Apostle Paul taught, we should speak the truth in love (see Ephesians 4:15). Anyone can disagree with our personal testimony, but no one can refute it. In closing, I refer to the relationship between obedience and knowledge. Members who have a testimony and who act upon it under the direction of their Church leaders are sometimes accused of blind obedience. We all act upon or give obedience to knowledge. Whether in science or religion, our obedience is not blind when we act upon knowledge suited to the subject of our action. A scientist receives and acts upon a trusted certification of the content or conditions of a particular experiment. In matters of religion, a believer’s source of knowledge is spiritual, but the principle is the same. 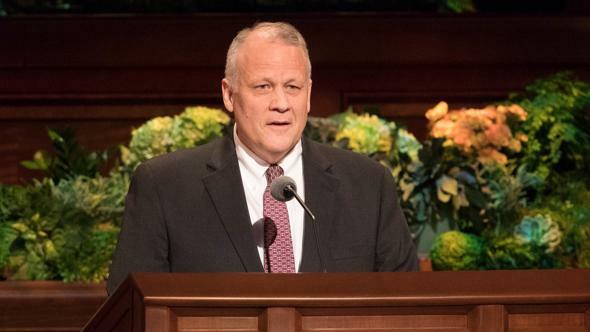 In the case of Latter-day Saints, when the Holy Ghost gives our souls a witness of the truth of the restored gospel and the calling of a modern prophet, our choice to follow those teachings is not blind obedience. In all of our testifying we must avoid arrogance and pride. We should remember the Book of Mormon rebuke to a people who had such pride in the greater things God had given them that they afflicted their neighbors (see Jacob 2:20). Jacob said this was “abominable unto him who created all flesh” because “the one being is as precious in his sight as the other” (Jacob 2:21). Later, Alma cautioned that “ye shall not esteem one flesh above another, or one man shall not think himself above another” (Mosiah 23:7). I close with my testimony. I know that we have a Heavenly Father, whose plan brings us to earth and provides the conditions and destiny of our eternal journey. 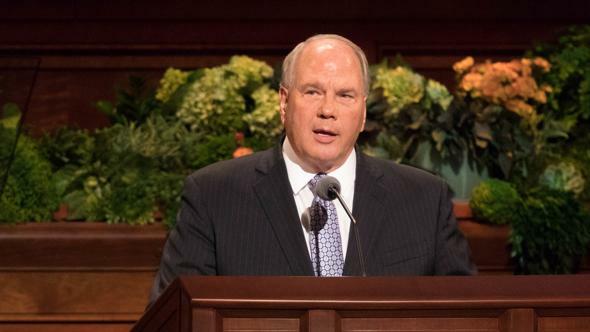 I know that we have a Savior, Jesus Christ, whose teachings define the plan and whose Atonement gives the assurance of immortality and the opportunity for eternal life. I know that the Father and the Son appeared to the Prophet Joseph Smith to restore the fulness of the gospel in these latter days. 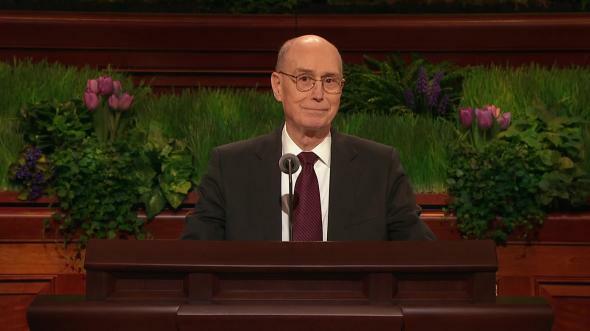 And I know that we are led today by a prophet, President Thomas S. Monson, who holds the keys to authorize priesthood holders to perform the ordinances prescribed for our progress toward eternal life. In the name of Jesus Christ, amen. 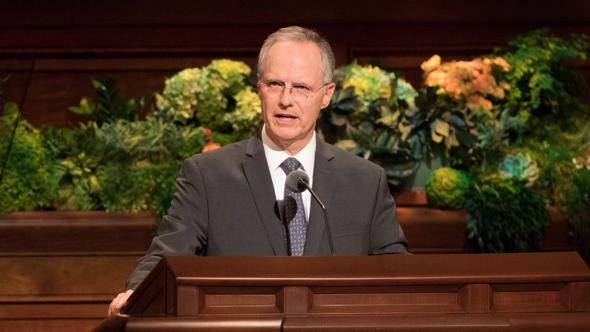 See The Teachings of Spencer W. Kimball, ed. Edward L. Kimball (1982), 138. For example, see Jeanne Newman, “With the Sound of a Trump,” Tambuli, Aug.–Sept. 1985, 21–23; New Era, Aug. 1985, 9–11.